You want your shoulders to look good and work well, not shoot off pain sparks every time you lift your arms. 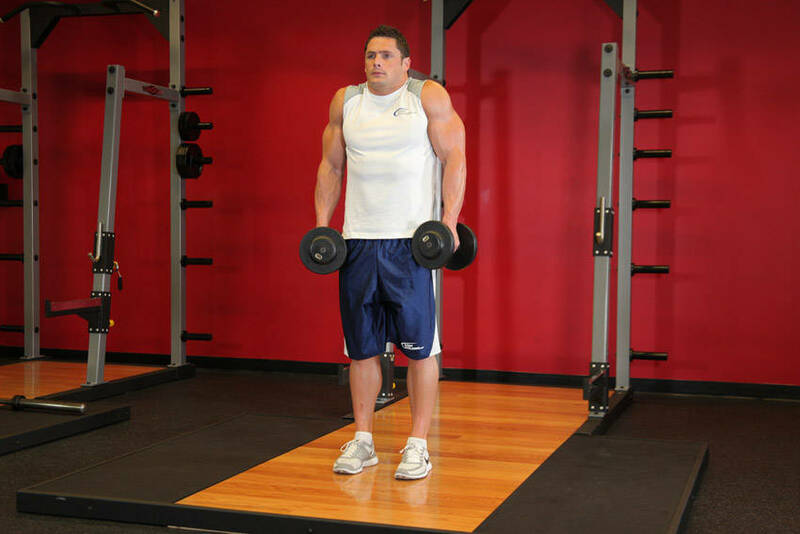 This giant set workout will build muscularity and maintain joint integrity at the same time. Women wear suits with shoulder pads to project an aura of authority in the workplace. Men wear shoulder pads in football games so they can knock opponents into next week. Which goes to show that shoulders have both symbolic and functional importance. With the right workout, your shoulders will need no artificial padding. They&apos;ll be sculpted into round "caps," and capable of handling any reasonable load that comes their way. They&apos;ll also keep their structural and functional integrity, because nothing derails upper-body gains like a bum shoulder joint or two. After all, the last thing you want is for those "coconut" delts of yours to crack. So warm up, will ya? You should do so before every workout, but especially before a shoulder workout. Take 10 minutes and walk on the treadmill, to get the blood flowing and raise your body temperature. Don&apos;t work up a major sweat but don&apos;t tip toe, either. While warming up, clear your head of any negative thoughts. Visualize your head sitting on top of boulders, because that&apos;s what you&apos;ll look like after the workout. Think about how it will feel to complete this training session, how pumped and big your shoulders will look in the mirror. Now do rotator exercises to ensure your shoulder joints and rotator cuffs are fully prepared to handle the pounding they&apos;re about to receive. Start out by doing 20 arm circles in both directions. Next, grab very light dumbbells-5-pounders will do. 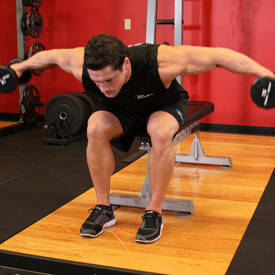 Do 20 external rotations for each shoulder, followed by 20 front raises. Then do 20 side raises, 20 shoulder circles, and 20 rear raises. After resting for 1 minute, you&apos;re ready to roll. These exercises are basic-but they work. The twist here is that you&apos;re going to do these four movements in giant set style. That means you&apos;ll perform one set of each exercise consecutively before resting. You&apos;re going to hit the front, side and rear heads of the shoulder before finishing with traps. The entire deltoid area will feel so engorged with nutrient-rich blood that those coconuts will be ready to burst. Let&apos;s get to it! Sit on an upright bench with a weight you can handle for 8-10 reps. The key to this movement is that you&apos;re going to pause at the bottom of the movement before performing the next rep. That takes away all momentum from the movement, which means you&apos;ll have to work that much harder to get it up. This means two things: You&apos;ll get stronger, and eventually your shoulders will need their own ZIP code. Find a weight you can handle for 10-12 reps … when you&apos;re doing 3-second negatives. In other words, once you reach the top of the movement, count to three as you lower the weight: One thousand one … one thousand two … one thousand three … then, boom, it&apos;s go time. 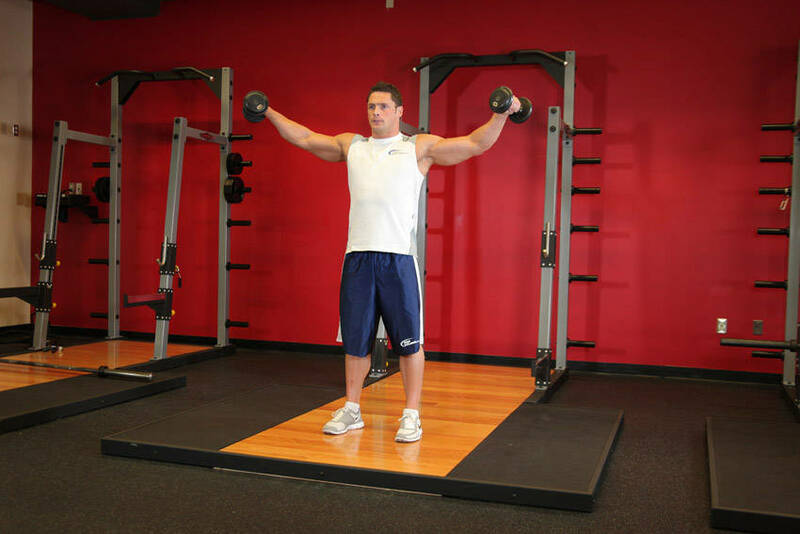 One more point about this exercise: Once your arms rise above parallel with the floor, your traps will assume control of the movement. Don&apos;t do this! Don&apos;t go too high; if you do, those coconuts won&apos;t get completely cooked. 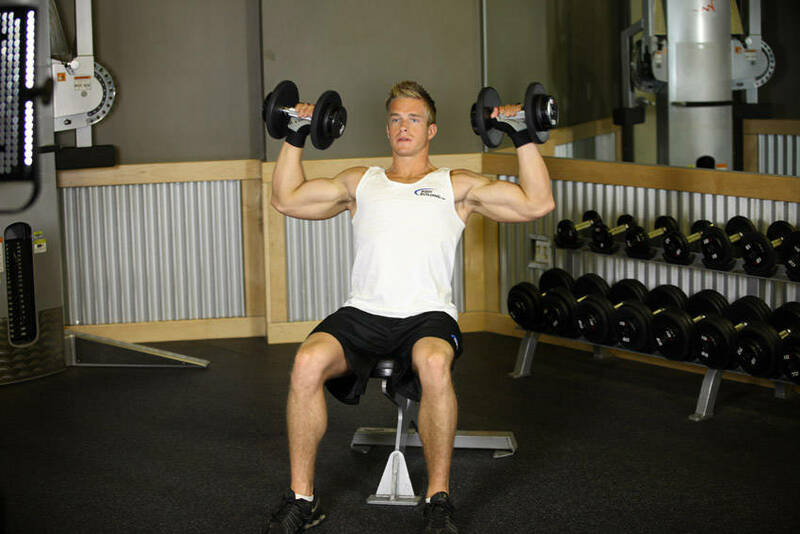 Keep those same dumbbells and position yourself to do rear lateral raises. 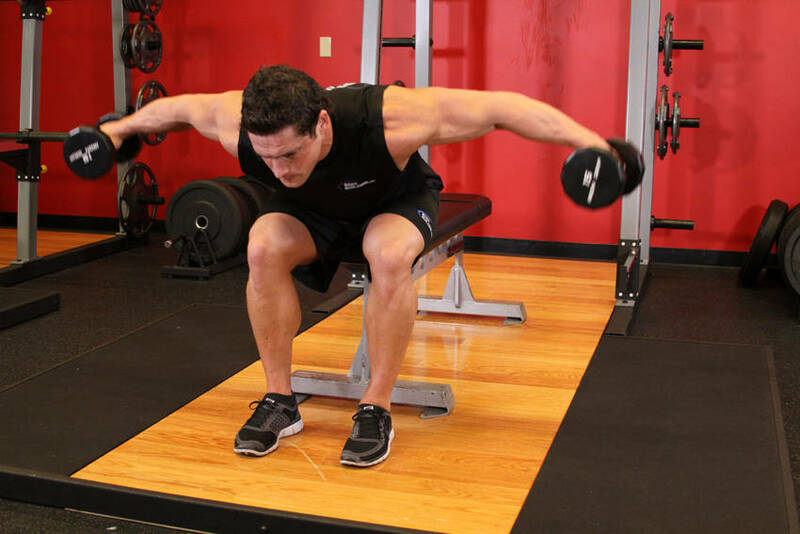 You&apos;re going to do the same thing here that you did with the side laterals: At the top of the lifting portion of the exercise, squeeze for a good contraction, followed by a 3-second negative. Feeling the burn at this point? Good! That&apos;s what it takes to be successful. Go for 12-15 reps here before moving on to the final exercise. Click Here For A Video Demonstration Of Seated Bent-Over Rear Delt Raise. 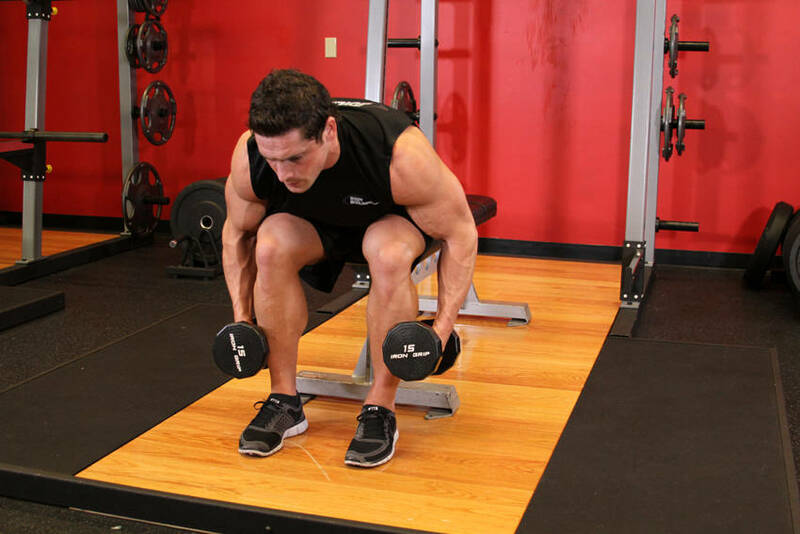 Use the same weight you used for the dumbbell presses and start shrugging. Grip the weights with every ounce of strength you have left. If you need straps, use them. Squeeze at the top for a second before letting the weights down. Once the DBs are down, let them hang for a second so you get a deep stretch in the traps. Keep going until you can&apos;t perform the next rep properly or you lose your grip. Once you finish with shrugs, it&apos;s time to rest! 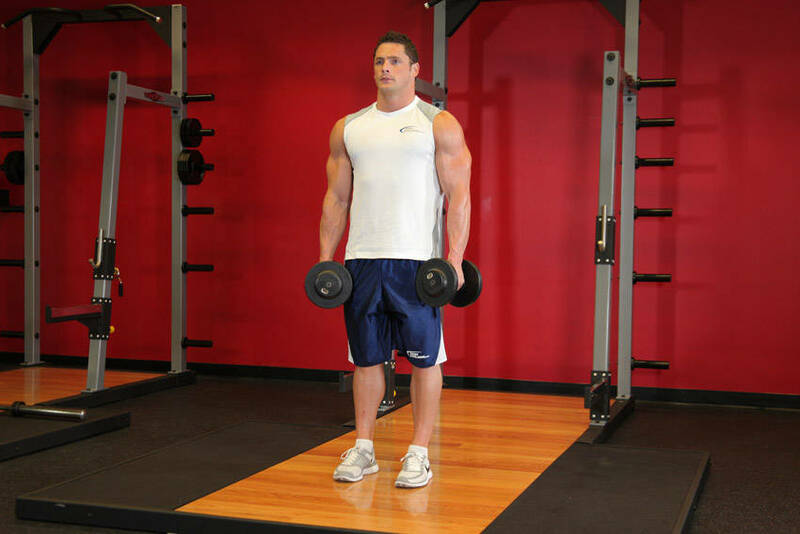 Click Here For A Video Demonstration Of Dumbbell Shrug. You should only have two pair of dumbbells for this routine: one pair for the presses and shrugs and one pair for both raises. You&apos;ll perform each of these movements in a row before resting. Even then, rest periods are only 2 minutes for beginners and intermediate lifters. If you&apos;re an advanced trainer, take 90 seconds before doing the next giant set. Beginners should only do two giant sets until they grow accustomed to training like this. Intermediate folks can do this plan for three sets for an effective workout. For you iron veterans, go for four rounds, really pushing yourself. Max effort here. This routine shouldn&apos;t take you too long to complete. At the end, you will have effectively targeted every head of the deltoids as well as the trapezius. Each exercise done consecutively before resting 2 minutes.